You are here: Home / Podcast: Why Mommy Drinks / Podcast: Why Mommy Drinks #40 – Beach Day! Podcast: Why Mommy Drinks #40 – Beach Day! What started off as a well-intentioned family trip to the beach, turned into the latest reason Dana was reaching for an adult beverage. 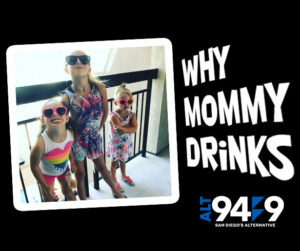 When she isn’t holding down mornings on San Diego’s ALT 949, Dana is raising three daughters under the age of 10, with a little help from her husband. This morning, we found out why parenthood isn’t always a day at the beach.